Kellogg Community College student Kimberly Kusler is earning her way toward an Associate in Science degree and hopes to one day become a geologist. Kusler, of Battle Creek, is a 2016 graduate of Harper Creek High School, where she started her KCC education as a dual-enrolled high school student. After graduation, she decided to continue attending KCC to follow another one of her passions – volleyball. A four-year varsity volleyball player at Harper Creek, Kusler joined KCC’s volleyball team and over the course of two seasons with the Bruins earned Michigan Community College Athletic Association honors including Second Team All-Conference, Honorable Mention All-Conference, Academic All-MCCAA and Academic All-Conference awards, and was the 2018 Scholar-Athlete of the Year at KCC. Kusler was the only female student-athlete chosen for the KCC award this academic year. “It had always been a dream of mine to continue playing volleyball after high school, and by attending KCC I was able to make that happen,” Kusler says. 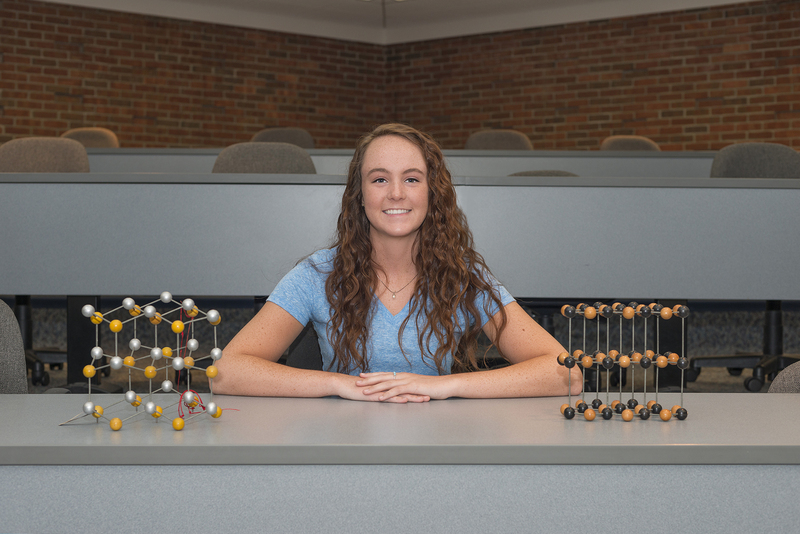 After earning her Associate in Science from KCC (she has just one more credit to go), Kusler hopes to continue her education at Northern Kentucky University. Ultimately she’d like to work for an oil company. For now she’s finishing up her studies at KCC, where she says she’s had a lot of fun and made new friends.